Like many others before me, I was made aware of P90X through an infomercial. I was up late one night in April, watching television and this commercial came on that showed men and women giving testimonials about how they lost weight, got fit, and ripped in 90 days using P90X. The program looked hard and I didn't believe the the people's testimonials, so I dismissed it. A few weeks later, I saw the same infomercial. I watched closely and listened to what the people were saying about the program. What the program promised, seemed to be in line with what I wanted to accomplish. 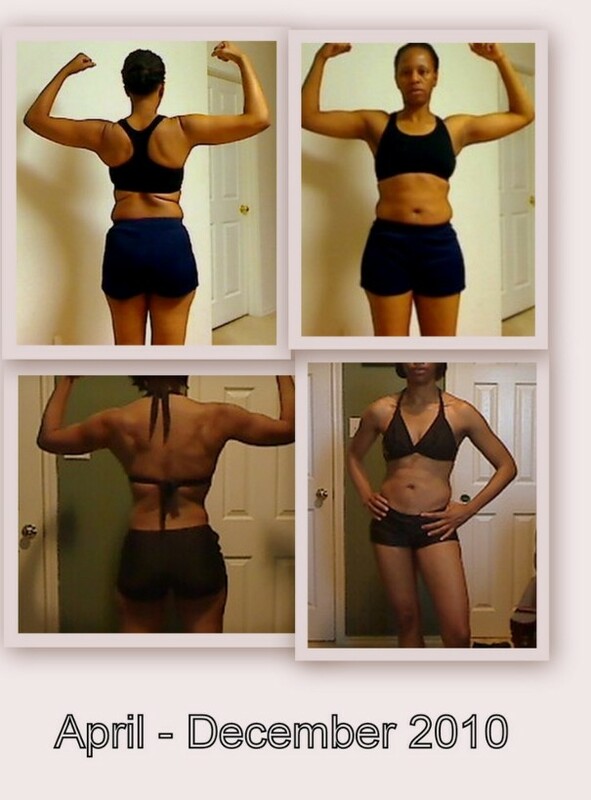 I wanted to be fit, toned, and healthier than ever by the time I turned 40 (nine months later). So this time rather than dismiss the infomercial, I took my research a step further. I went to the internet to search for testimonials from "real people" who had done the program. I Googled, I Yahoo'd, I Facebooked, and I Twittered.Does P90X Work? But no matter where I turned, it was the same. The majority of the reviews were positive. People raved about how the program helped them get into the best shape of their lives. They posted pictures and videos and testimonials.. But I wanted to read the negative reviews... I needed to hear from the people who didn't like the program. 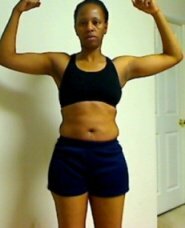 People who answered, "NO" to the question Does P90X Work.So I kept searching until I ran across some anti-P90Xers, if you will. And eventually, I did find them -people who did not like P90X. Does P90X Work For Everyone? I read as many negative reviews as I could. It was important for me to know what others disliked about the program. Knowing this would help me avoid making the same mistake they'd made by purchasing a program that wasn't for me. After all P90X workout routines are a significant investment. Especially for someone on a budget. So purchasing it lightly would have been a foolish mistake. Each of those negative comments are valid. And after completing the program, I must admit some of the negative comments do have some merit. Let's take a look at each of the negative comments individually so that I can help you understand why I think these anti-P90Xers had some problems with the program. "The nutrition plan is too difficult to follow." Quite honestly I can see the anti-P90Xers point. For me nutrion plan was a bit complex and I honestly, I didn't follow it to the letter. Now take my comment about complexity with a grain of salt. The information is outlined beautifully and in a step by step fashion. But, let's face it, how many of us really take the time to read directions and instructions when it comes to ANYTHING? I know I don't (smile). I just like to get the gist and move on. The whole 3 Phases, 3 Approaches, 3 Nutrition Levels, Body Weight, Resting Metabolic Rate, Nutrition Levels, and energy calculations....sheesh! I did try though. I did the step by step calculations and determined my RMR was 1500, My Daily Activity Burn was 300, and my Energy Amount was 2400- whew! But did I care what all that really meant....not really. ....and to top it off I did all of that calculating only to realize half way through the program that 2400 calories was too much for me as a female and if I wanted to lose fat I had to lower my caloric intake to 1500-1900 calories per day. So much for all of the calculating. After 30 days of eating 2400 calories I looked like had actually gained weight. So I cut back and kept moving forward. "The program is for men and doesn't work for women." Almost all of the women who posted negative reviews made this same comment. Fact is they gave up too soon. It's easy to see how they would think this if they're under the impression that femals burn calories and gain muscle exactly the same way that males do. But, we do not. As women we naturally have more "fatty" areas than males and as unfair as it may be, it seems men lose their fat a lot easier/faster than we do. 30 days into the program (end of phase 1) I felt like giving up because I didn't see any change. Truth is, the program does work for women, but most of the women who have had success, have modified the nutrition guidelines and calorie requirements to get the results they wanted. Just like I did by incorporating a meal replacement shake and lowering my calorie intake in phases 2 and 3. That's when I started to get the results I wanted. "I didn't lose any weight on the program." Let me say here: P90X is not a weight loss program. Yep, that's right. People lose weight, but it's not a weight loss program. The program was actually designed for people who are already somewhat fit. Now, there are people who are very overweight who have had great results, so the program works if you work it and modify it to your level. But, the intention of the program was to help people who have 20 or so pounds to lose and want to get toned and build muscle. Again...it's possible these people followed the suggested caloric intake like I did and increased calories. Or the opposite, ate whatever they wanted and then were dissappointed when they didn't get the results they wanted. What I've realized is success with P90X depends a lot on what you put in your mouth. If you're going to continue to each pastries, processed foods, and sugary junk, you're results will not be anywhere near what you desire. "The workouts are too long." "Too long" is relative. Yes the programs are about an hour long and some people say they can't fit this into their schedules. I say, where there's a will there's a way. But, I'm not the best person to respond to this because I work from home and I have the flexibility to workout whenever I feel like it for as long as I want. One of my customers told me once that she didn't have time because she's a nurse and works the 3rd shift. Because of that, she's too tire to workout. Well, she has a valid issue. This could be a challenge. 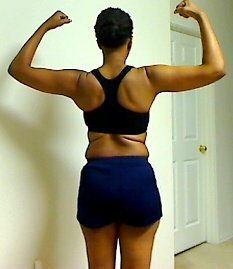 But again....where there's a will there's a way or another workout program that's more suitable. "Tony Horton is too boring." A lot of people think P90X is too slow and Tony is boring. What I noticed though, is that most of these people prefer workouts that involve a lot of dancing and cardio aerobics -which P90X is not. If you want a perky trainer who leads you through a dance party workout, P90X is not for you. Maybe you need to try Turbo Jam or Hip Hop Abs or something like that. Well, it ain't exactly cheap. P90X retails for around $120.00 (25% discount for coaches or 10% discount for club members). Yep that's right. So it's not an investment you'll want to make lightly. There are options though. When I purchased P90X, I purchased it through QVC, one of the home shopping channels. I got the program on 3 flex payments. Please do not purchase boot-leg copies or discount copies from shady online vendors. If your dvd messes up or gets scratched, you're not going to be able to replace it and your money will be flushed down the drain. I went from a size 8-10 to a size 2-4. My weight went from 154 (start) to 133 (current). 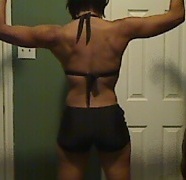 I have muscle tone in my arms, legs, and abs. That's my story. 'll let you make your own determination about whether or not P90X works. Read More About P90X . Send me your questions and comments. I look forward to hearing your thoughts. Be blessed!